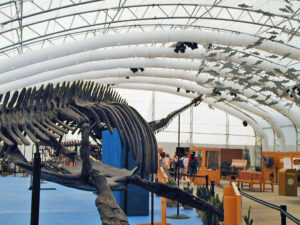 From Dinosaur Jubilee to Dino-Rama! As part of Dinoland U.S.A, before Dino-Rama, there was the Dinosaur Jubilee! 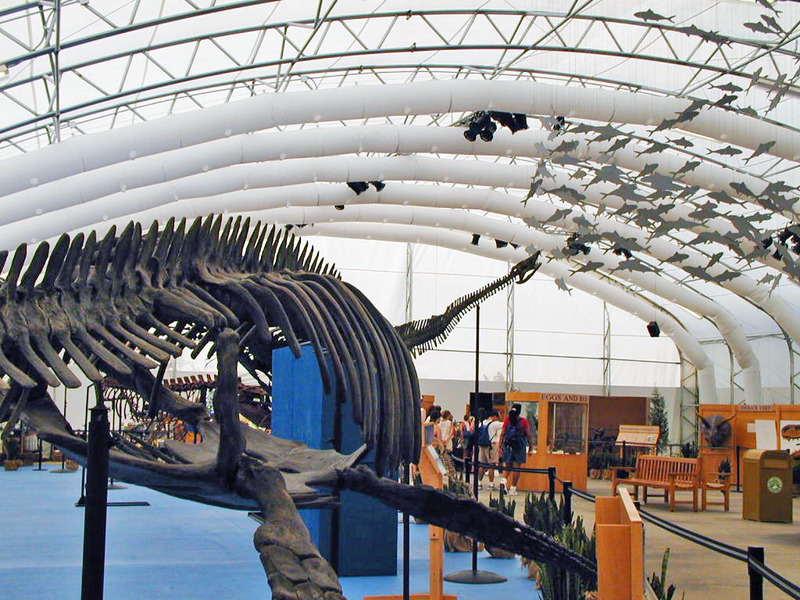 Resembling a giant tent, it housed various dinosaur skeleton casts, interactive exhibits and cool fresh a/c to chill on a hot day at Disney’s Animal Kingdom. 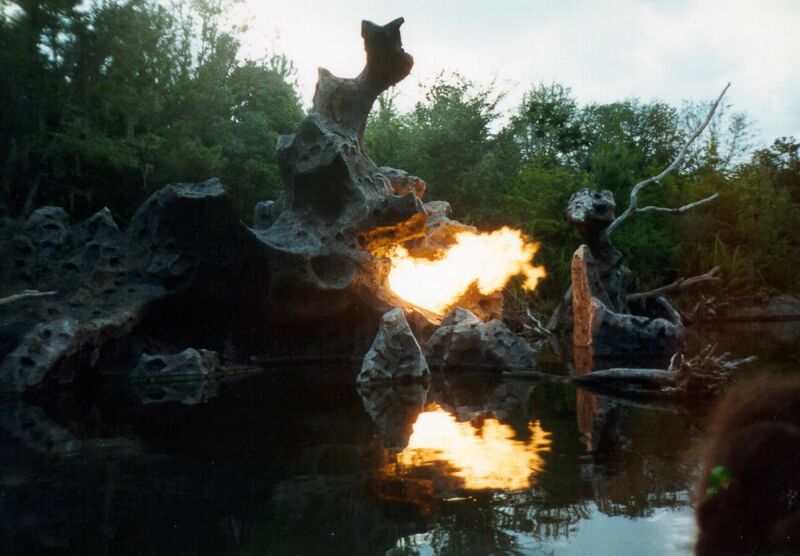 Both the Dinosaur Jubilee and it’s nearby counter part, the Fossil Preparation Lab, went through various changes from April 1998 until late 2000 before the way was cleared for Chester & Hester’s Dino-rama! 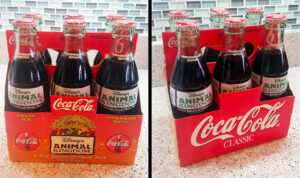 Released in grocery stores during 1998, this 6 pack of glass bottles was sold as a commemorative edition set. 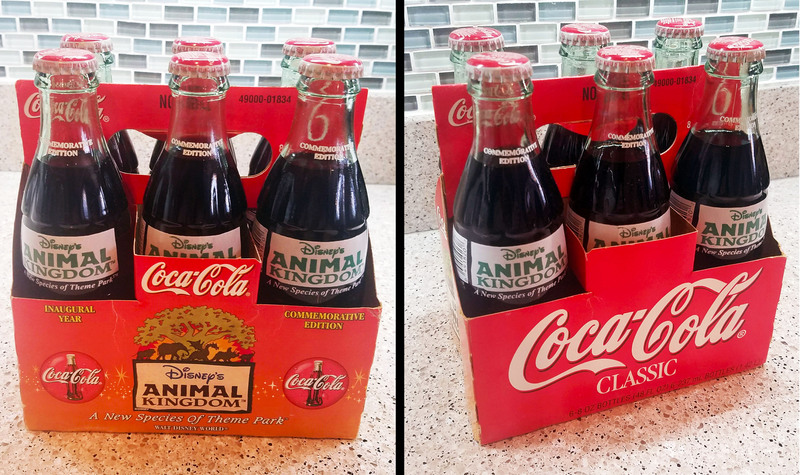 The pictures were taken in May 2018 of these 20 year old bottles, with the Coke still inside. The packaging featured the full Animal Kingdom logo and slogan “A New Species of Theme Park”. “Inaugural Year” and “Commemorative Edition” are clearly labeled on the package. The bottles themselves also have the same printing minus the logo and “Inaugural Year”. 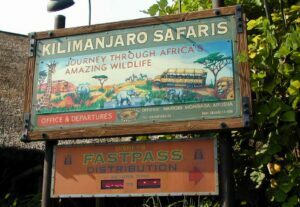 During the opening year of Disney’s Animal Kingdom, with Beastly Kingdom put on hold, very little reference to creatures of fantasy existed. 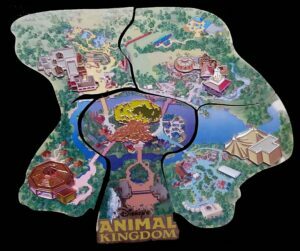 While Beastly Kingdom has been covered by many others, this post explores what actually made it into the park, including the mystery of the Dragon. 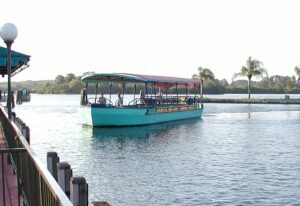 In this post, I’ll cover a few of the sightings I’ve had of the riverboats long after the attractions was retired. Before FastPass+, there was the original FastPass. Starting as early as 1998, a manual system (prior to the FastPass system everybody is familiar with) was used to test the concept at the Discovery Riverboats. In this case, randomly selected guests approaching the queue line would be given a return card with hand written information filled out regarding when they could return. 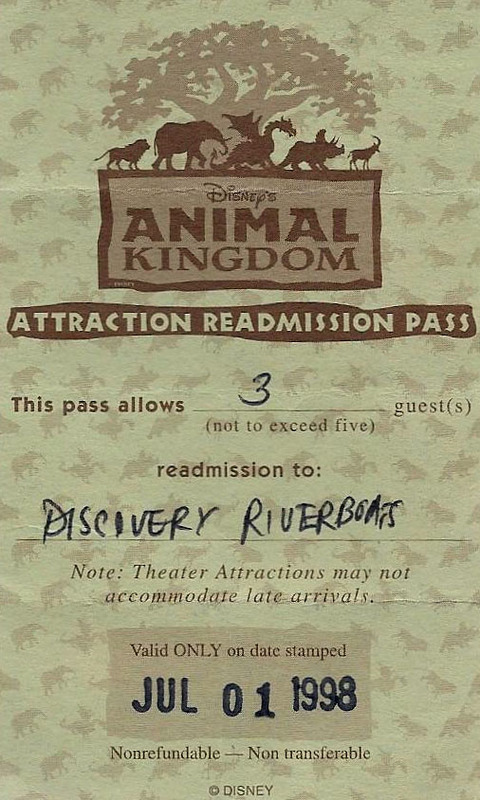 This card was similar to the attraction re-admittance card. Happy Birthday Animal Kingdom! It’s hard to believe it’s already been 20 years, while at the same time so much has changed that I would be surprised if it wasn’t. My history with the park started a few months before opening, working as part of the opening crew via Disney’s College Program. It should be no surprise that I operated the Discovery Riverboats from park opening until mid-August 2018. 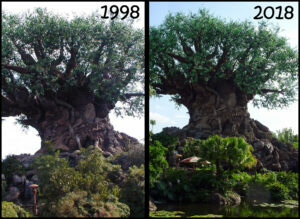 Alas, the attraction is no longer, having undergone a series of changes starting before the official opening and last until late 1999. However, those details are a story for another time. It’s taken me 20 years to finally begin posting about the park, and therefore I will share a series of pictures reflecting what was then and what is now. Enjoy!